Most avid cyclists train for long rides. Road bikes can alter neck positions and aggravate cervical problems. If neck pain does not resolve with conservative measures, Platelet Rich Plasma (PRP) and Stem Cell Therapy may be of benefit if the underlying disorder has been accurately diagnosed. Platelet Rich Plasma (PRP) and Stem Cell Therapy are Regenerative Medicine procedures that may repair and regenerate injured tissues. 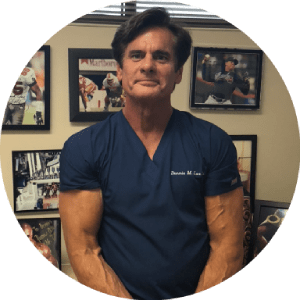 Dr. Lox has treated many thousands of patients with spine problems and sports injuries.